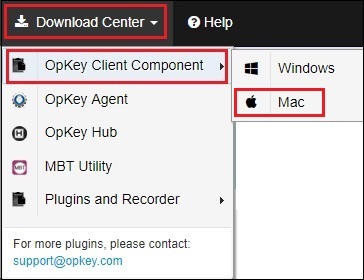 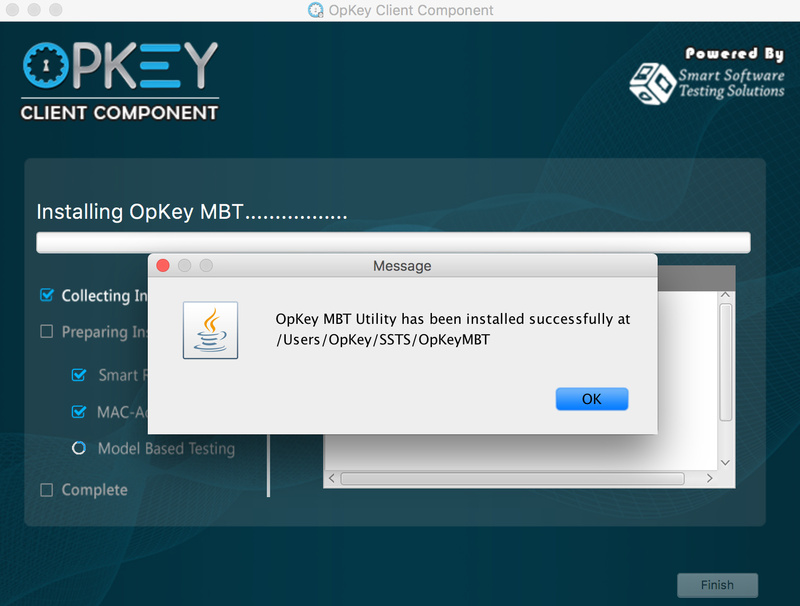 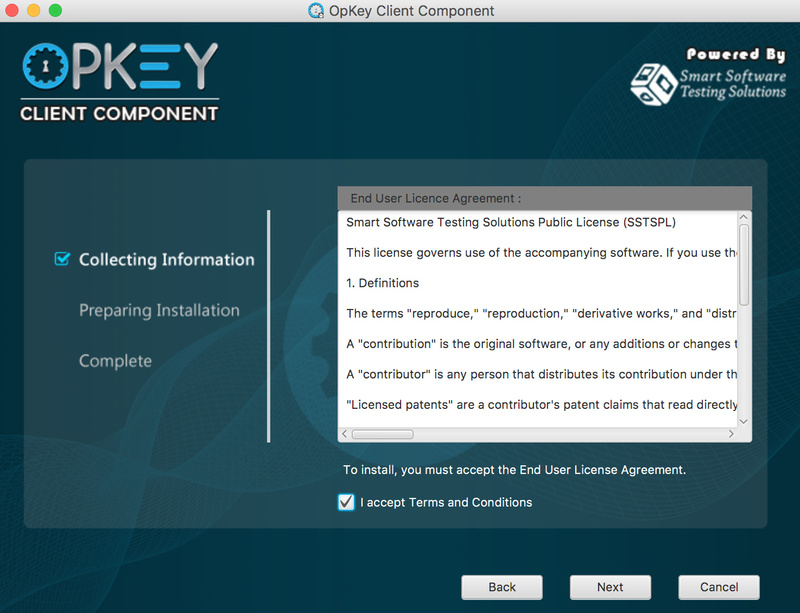 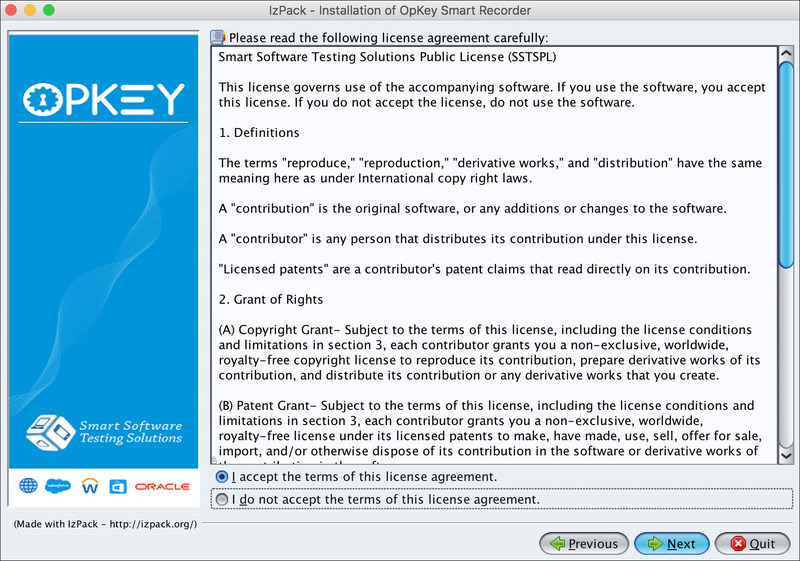 Once, setup file of OpKey Client Component has downloaded, you can install it on your Mac machine. 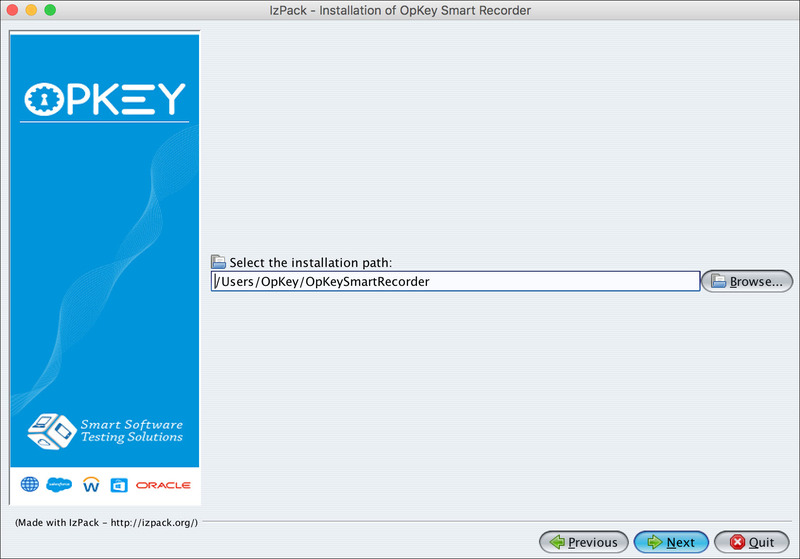 You can customize installation of OCC package components. 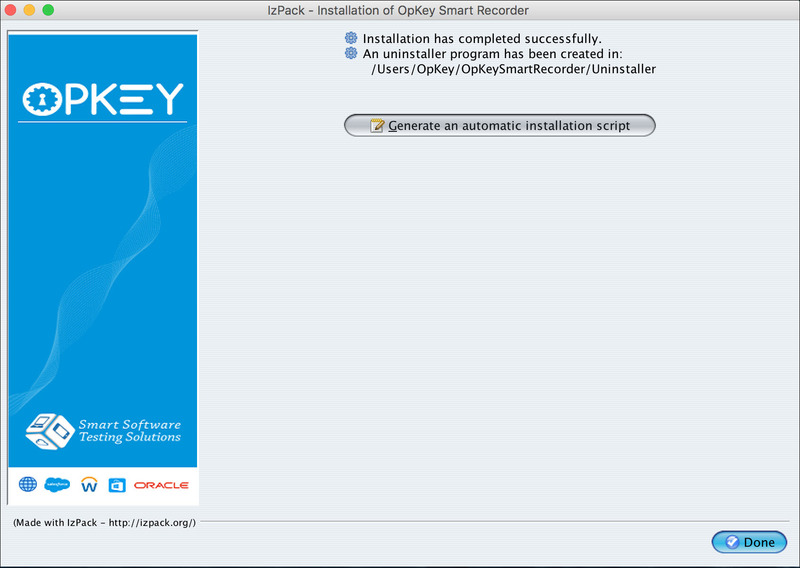 Full installation contains all the components (Smart Recorder, Agent, MBT Utility & Hub). 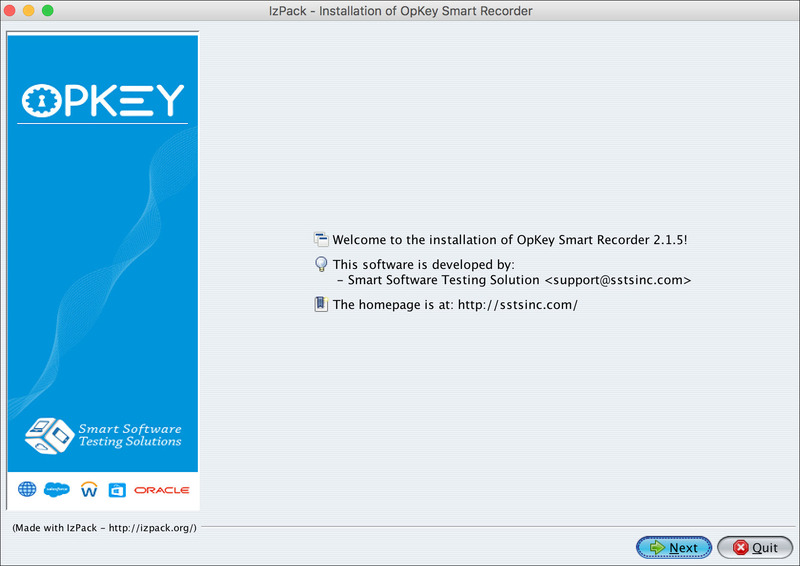 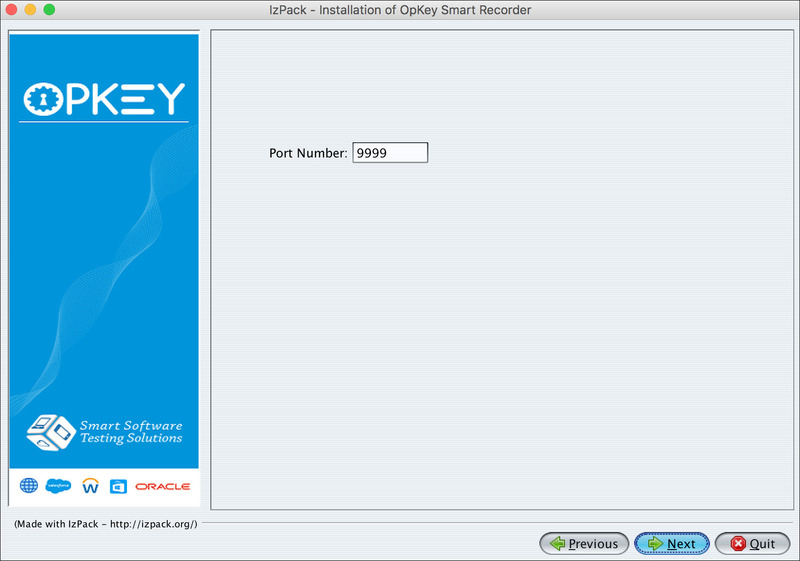 Click Done to finish the installation of Smart Recorder.